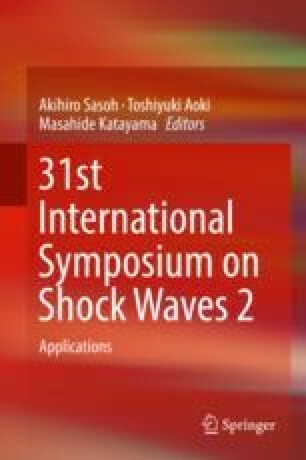 This paper reports the result of development of a miniaturized focused shock wave generator for a technological innovation in minimally invasive therapy. The focused shock waves generated from the tip of the shock wave ablation catheter reached 80 MPa of peak pressure and successfully damaged a slab of fresh potato. The depth of damaged area and the pulse laser energy were related to positive correlation. These results indicate the potential usefulness of our new shock wave ablation system.